Back in October Microsoft released the first public Windows Server Technical Preview for the next release of Windows Server. At TechEd Europe Ben Armstrong, Principal Program Manager on the Hyper-V team at Microsoft, talked about a couple of new features which are coming in the next release of Windows Server Hyper-V. Microsoft this week officially announced Windows Server 2016, System Center 2016 and Hyper-V Server 2016 along with some other great products and releases at Microsoft Ignite. This here is a quick overview about the new features in Windows Server 2016 Hyper-V and this is still not a complete list with all the features coming to the next version. Microsoft announced a Hyper-V Host will support 24TB of RAM and up to 512 CPUs, and up to 16TB and 240 virtual CPUs per Virtual Machine. This are huge number and a huge improvement to the numbers to the numbers of Windows Server 2012 and Windows Server 2012 R2. Microsoft announced Nano Server, and the next Cloud Platform Server will you allow to run Hyper-V and of course also inside Hyper-V Virtual Machines. If you create a fixed size VHDX file in Windows Server 2012 R2 and older this could take awhile since it had to write down all the zero blocks to the storage. If you had ODX you could leverage the storage do to this for you. In Windows Server 2016 if you create a fixed size VHDX on a ReFS volume, you can leverage ReFS and let the work instead, which allows you to create a fixed VHDX instantly. This also works with merging VHDX files, which is again great for backup operations and checkpoints. With Nested Virtualization Windows Server 2016 Hyper-V Microsoft allows you to run Hyper-V Servers inside Hyper-V Virtual Machines. 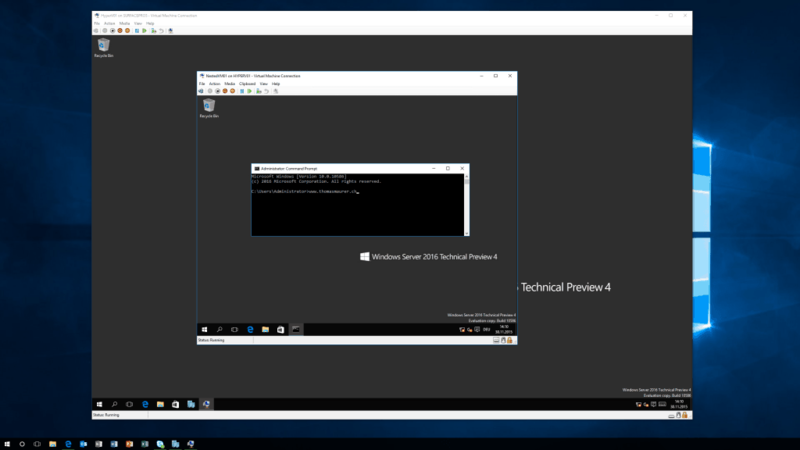 This is a absolutely great feature if you want to train people or want to demo Hyper-V to others. 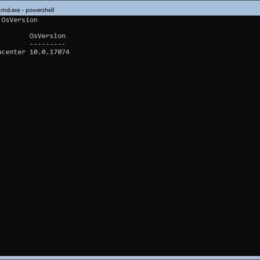 You can check out my blog posted about Nested Hyper-V if you want to know more about it. Shared VHDX files are now a new type of VHD called .vhds files. This feature coming from Microsoft Azure, protects your Hyper-V host resources from virtual machines which are trying to attack the fabric for example trough generating high CPU workloads and other attacks. Host Resource Protection dynamically identifies virtual machines that are not “playing well” and reduce their resource allocation. 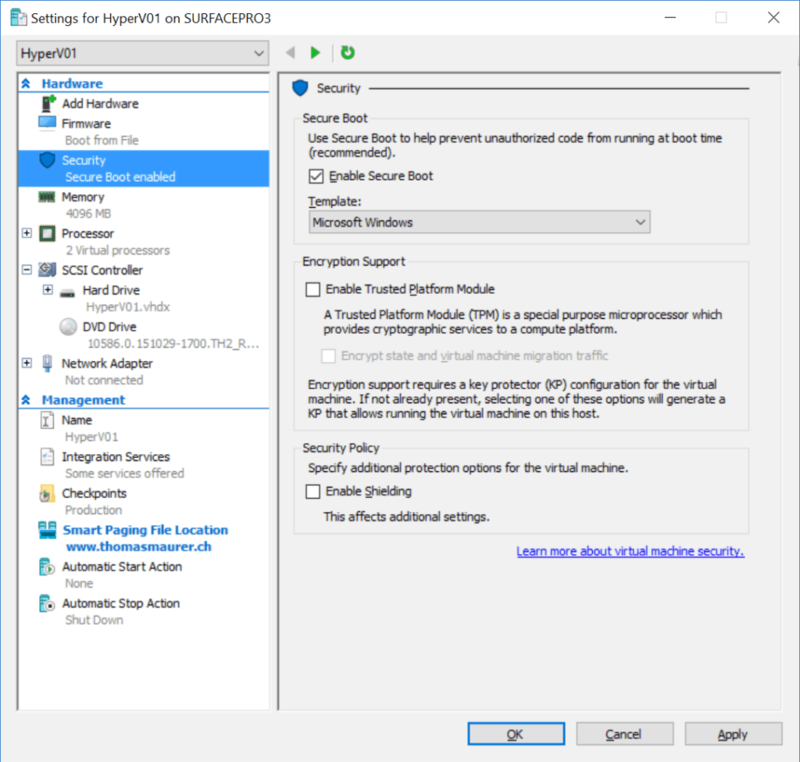 Windows Server 2016 Hyper-V allows you to add a Virtual TPM chip to your Virtual Machine, which allows you encrypt your VM using Windows Server Bitlocker. This will be a great features to protect Virtual Machine content especially from admins and when you host Virtual Machines in the cloud. With Windows Server 2012 R2 introduced Generation 2 Virtual Machines which allowed you to use the Secure Boot features for Virtual Machines running Windows 8 or Windows Server 2012 and higher. With Hyper-V Server 2016 Microsoft allows you to use Secure Boot for Linux Virtual Machines. Shielded Virtual Machines can only run in fabrics that are designated as owners of that virtual machines. Shielded Virtual Machines will need to be encrypted by Bitlocker (or other solutions) in order to ensure that only the designated owners can run this virtual machine. This requires other parts of the Microsoft Windows Server stack such as the Host Guardian Service or/and TPM. You can now protect the operating system disk using BitLocker drive encryption in generation 1 virtual machines. A new feature, key storage, creates a small, dedicated drive to store the system drive’s BitLocker key. This is done instead of using a virtual Trusted Platform Module (TPM), which is available only in generation 2 virtual machines. To decrypt the disk and start the virtual machine, the Hyper-V host must either be part of an authorized guarded fabric or have the private key from one of the virtual machine’s guardians. Key storage requires a version 8 virtual machine. With the next version of Windows Server 2016, Microsoft brings new feature called Storage Replica which allows you to replicated Storage in Windows Server 2016. This can also be used for File Servers or for Virtual Machine Storage. You are now enable to replicated CSVs from within the same cluster or to another cluster using this Windows Server feature. With the Windows Server 2012 R2 and later, Microsoft Failover Clustering was more less designed for Application protection and has kind of a basic design for Hyper-V Virtual Machines. Which in most cases works great and does exactly what it should. But in some scenarios like “quick” network outages this could cause more troubles than it should have done. With Virtual Machine Storage Resiliency in Windows Server 2016 Hyper-V, Storage fabric outages no longer mean that virtual machines crash, Virtual machines are paused an resumed automatically in response to storage fabric problems. 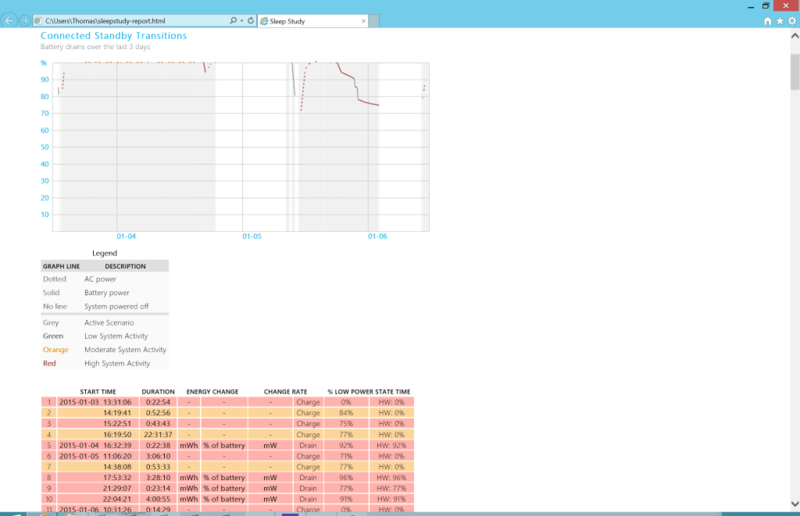 In Windows Server 2012 R2 if a VM lost storage connection over 60 seconds the VM crashed. In Windows Server 2016 Hyper-V the Virtual Machine gets paused until the storage comes back. If the storage does not come back within a time you can still let it failover. As the same as Storage Resiliency, Cluster Resiliency helps during quick node or network failures. With Virtual Machine Cluster Resiliency for Windows Server 2016 Hyper-V, VMs continue to run even when a node falls out of the cluster membership. This brings resiliency to transient failures and nodes which often repeat this, are quarantined. So if a nodes falls out of the cluster, virtual machines running on this node are kept alive until the node joins back into the cluster, if the cluster node does not come back within four minutes, the virtual machines get failed over to another Hyper-V node. But if one node goes in quarantine too many times, Hyper-V and the Failover Cluster automatically live migrate the virtual machines from that node to another, when the node comes back. This feature gives you more control over which clustered virtual machines are started or restarted first. This makes it easier to start virtual machines that provide services before virtual machines that use those services. Define sets, place virtual machines in sets, and specify dependencies. Use Windows PowerShell cmdlets to manage the sets, such as New-ClusterGroupSet, Get-ClusterGroupSet, and Add-ClusterGroupSetDependency. This feature is totally awesome. 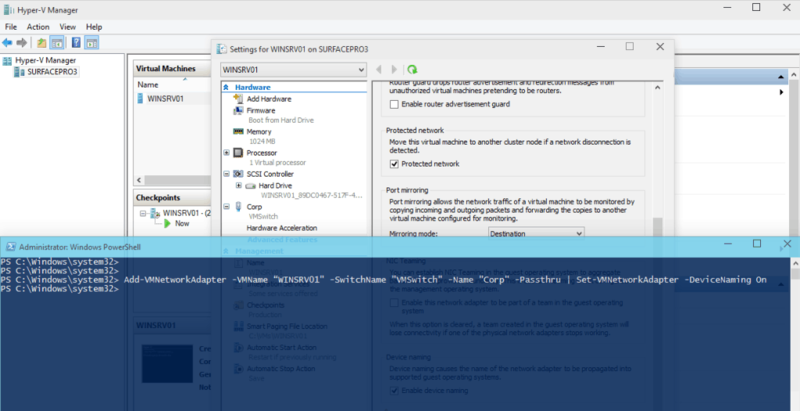 In Windows Server 2012 R2 Hyper-V Microsoft allowed you to copy files into the virtual machines without having network connectivity using the VMBus. 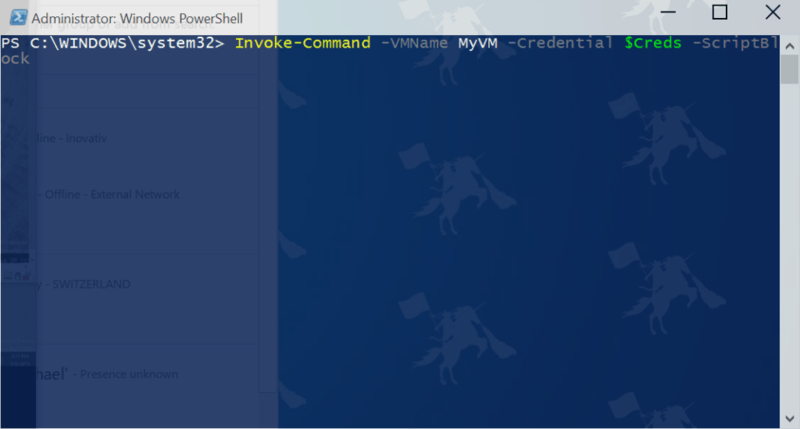 With Windows Server 2016 you can now use PowerShell Direct to run PowerShell command inside the Virtual Machine using the VMBus. In Windows Server 2016 Hyper-V, Microsoft will change the Virtual Machine configuration files. Today the Hyper-V VM configuration files had the xml file format. You were able to open the file and check and edit the virtual machine configuration inside that file, even it was never supported. 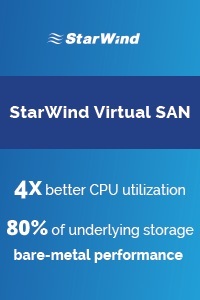 By running more and more workloads virtual and in a dynamic cloud way, scale and performance gets even more critical. In the next version of Hyper-V Microsoft will change the VM configuration from the xml file to a binary file format. The new binary format brings more efficient performance at large scale. Microsoft also now includes a resilient logging for changes in the configuration files so this should protect virtual machines from corruption. Virtual Machine Checkpoints or in older versions Virtual Machine Snapshots were a great solution to take a state of a virtual machine and save it, doing some changes and if something fails you could simply revert back to the time you took the checkpoint. This was not really supported to use in production, since a lot of applications couldn’t handle that process. Microsoft now changed that behavior now fully supports it in production environments. For this Production Checkpoints are now using VSS instead of the Saved State to create the checkpoint. This means if you are restoring a checkpoint this is just like restoring a system from a backup. For the user everything works as before and there is no difference in how you have to take the checkpoint. Production Checkpoints are enabled by default, but you can change back to the old behavior if you need to. But still using Checkpoints brings some other challenges, like the growing .avhdx file, which still apply. 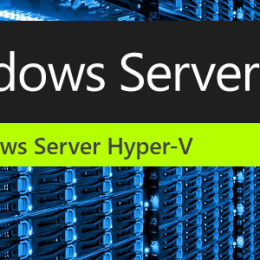 Hyper-V Replica was one of the greatest new features in Windows Server 2012 Hyper-V. In Windows Server 2012 and Windows Server 2012 R2 Hyper-V, if you have hot added a VHDX file to a Virtual Machine, replication failed. In Hyper-V 2016 when you add a new virtual hard disk to a virtual machine that is being replicated, it is automatically added to the not-replicated set so replication continues to run and you can then online update this set with via PowerShell and the VM will automatically resynchronize and everything works as expected. In Windows Server 2012 R2 Hyper-V you could decrease the Minimum Memory and increase the Maximum Memory of a Virtual Machine using Dynamic Memory while the VM was running. In Windows Server 2016 Hyper-V, you can now increase and decrease the Memory assigned to virtual machines while they are running, even if they are using static memory. This was maybe the feature VMware fan boys all over the world have used against Hyper-V. However I didn’t really saw a lot of customers doing this, but it is great that you can now hot add and remove network adapters from Virtual Machines. For me more important than hot add or remove virtual network adapters is this feature. When dealing with automation you are always happy you can identify different network adapters. For the Hyper-V hosts we have different solutions such as Consistent Device Naming (CDN), sort by PCI slot using PowerShell and other options to identify network adapters. But we didn’t really have a great solution for Virtual Machines. With Network Adapter Identification this changes. You can name individual virtual network adapters in the virtual machine settings and see the same name inside the guest virtual machine. Improves on VMQ throughput by allocating multiple hardware queues per virtual machine. The default queue becomes a set of queues for a virtual machine, and traffic is spread between the queues. You can set up RDMA on network adapters bound to a Hyper-V virtual switch, regardless of whether SET is also used. SET provides a virtual switch with some of same capabilities as NIC teaming. This allows you to use only two physical network adapter ports instead of four which basically reduces the switch ports by half in Hyper-V over SMB deployments. Finally, this is something which is not a problem in most environments , since we know how things work. But a lot of people which are Hyper-V beginners coming from VMware or other platforms, they have some simple troubles with Hyper-V Manager. In the next version there are a couple of create improvements which make things a lot easier. Microsoft updated the hypervisor power management model to support new modes of power management. And this is one of the reasons I run Windows 10 Technical Preview on my Surface Pro 3. Surface Pro 3 is a device which can run Connected Standby, but if you install Hyper-V on Windows 8.1 Connected Standby stops working. In the next version of Hyper-V Connected Standby will work. To support Rolling Cluster Upgrades Microsoft had to make some changes to the Virtual Machine Upgrade Process. 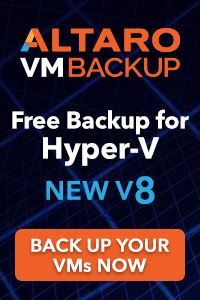 In the current versions of Hyper-V, Virtual Machines were automatically upgraded from the old to the new version, which means that if you once moved a Virtual Machine to a new Hyper-V host you couldn’t move it back again. In a mixed cluster environment this does not work. In the next version of Hyper-V, Virtual Machines will not be upgraded automatically. Upgrading a virtual machines is a manual operation that is separate from upgrading the Hyper-V host. This allows you to move virtual machines back to earlier version of Hyper-V until they have been manually upgraded. Since Windows Server 2012 R2 Hyper-V, VM drivers (integration services) were updated with each new host release, and it was required that the VM driver version matches the host version. When new Hyper-V integration services were shipped you had to update the Hyper-V host and form there you could upgrade the VM drivers inside the virtual machine. With Windows Server 2016 Hyper-V Microsoft brings VM driver updates over Windows Update. This means also that you now don’t have to have the VM integration services matching the host version, you simply need the latest version of the integration services released. Microsoft is pushing hard to bring more and more supported for Linux operating systems such as dynamic memory and other features. With Hyper-V vNext Microsoft bring Secure Boot support for Linux which works with Ubuntu 14.04 (and later) and SUSE Linux Enterprise Server 12. In Windows Server 2012 R2 Hyper-V we got the possibility to limit maximum IOPs for an individual virtual hard disk which was a great feature. Everything worked great when you were running the Virtual Machine on a single Hyper-V host, but when you were running multiple Hyper-V hosts with multiple Virtual Machine against the same storage, the Hyper-V host didn’t know that he had to compete with other servers for Storage IOPs or bandwidth. For example the scenario of a minimum IOPs setting did only work on standalone Hyper-V servers. With the next release of Hyper-V and Windows Server Microsoft adds a lot of new stuff. Together with the Scale-Out File Server and Storage Spaces, Microsoft now allows you to define IOPs reservation for important virtual hard disks and a IOPs reserve and limit that is shared by a group of virtual machines / virtual hard disks. This intelligence, build by Microsoft Research, enables a couple of interesting scenarios especially in service provider environments and large scale enterprises. Microsoft invested heavily into VM resiliency, especially to hardware failure. One of them is the VM Compute Resiliency feature. This feature allows Virtual Machines to run on a host even if the cluster node is not available to the other nodes in the cluster. For example in Windows Server 2012 R2, if the cluster service couldn’t reach the node in the cluster for 30 seconds, the cluster would failover all the virtual machines to another node. If the same things happens in Windows Server vNext Hyper-V, the node would go into isolated mode for the next 4 minutes (default setting) and when the node comes back in four minutes all the virtual machines will still be running. If it doesn’t come back within four minutes the VMs will failover to another node. If a node is flapping from Isolated Mode to running the cluster service will set the node to quarantined and will move all the virtual machines from the node to another node. This should help keep your workloads running even if there are some hardware or network failures. 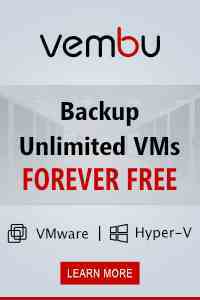 Decoupling backing up virtual machines from backing up the underlying storage. No longer dependent on hardware snapshots for core backup functionality, but still able to take advantage of hardware capabilities when they are present. Microsoft also did some improvements on Windows Server 2016 RemoteFX which now includes support for OpenGL 4.4 and OpenCL 1.1 API. It also allows you to use larger dedicated VRAM and VRAM in now finally configurable. 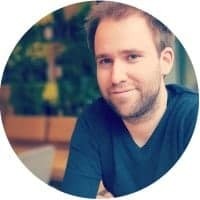 This is maybe something you will never use by yourself but there is another great improvements in terms of automation and development. If you have ever used WMI against a Hyper-V Cluster you always had to run it against every Hyper-V Host in the cluster to get all the information. In the next version of Hyper-V you can finally run WMI against Hyper-V Cluster and it will handle it as it would be a single Hyper-V host, so you get all the information from all hosts in the cluster. This was a quick overview over just some of the feature and improvements which are coming in the next release of Windows Server 2016 Hyper-V which will be released in 2016. There will be much more coming until Microsoft officially releases the next version of Hyper-V and of course some of the stuff I wrote about will be improved as well. If you want to know more about the next version of Hyper-V checkout Ben Armstrong’s TechEd Europe session or visit some of our TechNet events.